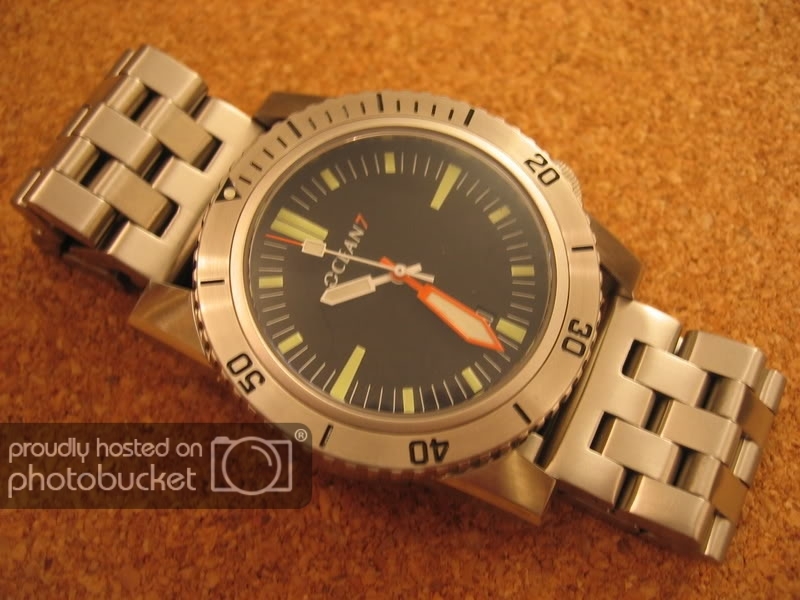 Watches with 24mm lug width and up? 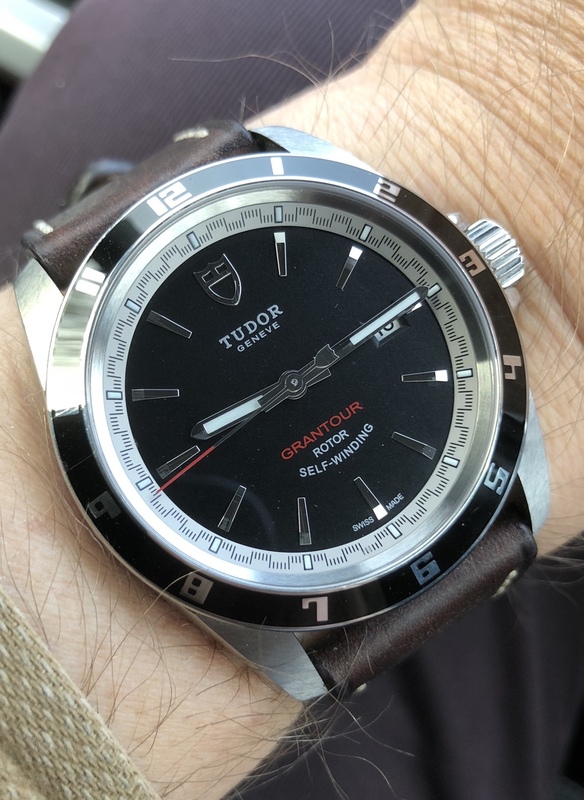 Thread: Watches with 24mm lug width and up? I fancy trying a watch with a really chunky leather strap. 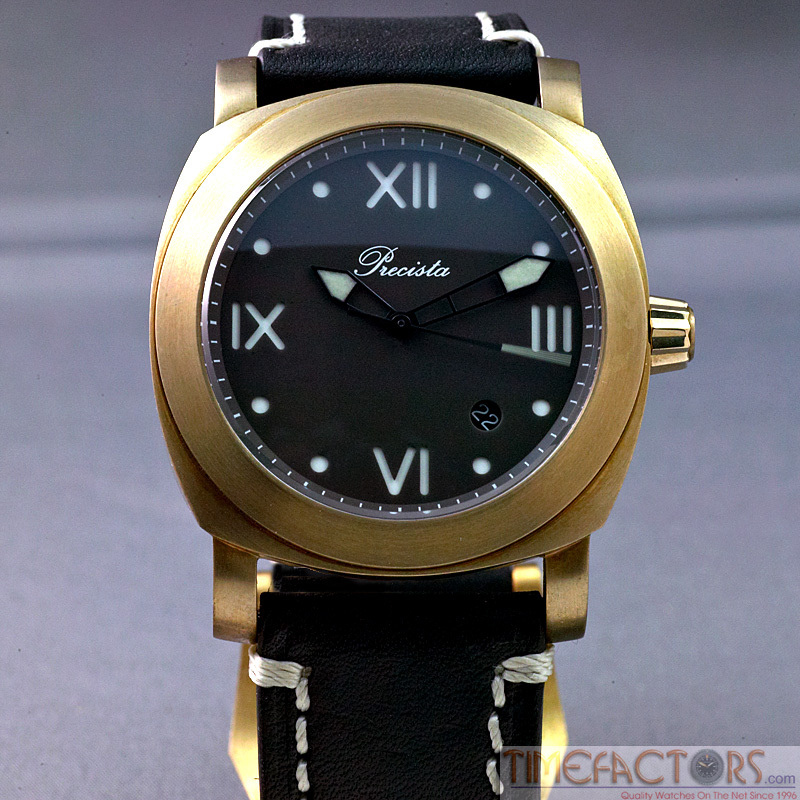 However, other than Panerai, and Jean Richard to a lesser extent. I have not spotted any others with a lug width of more than 22mm. Please could someone more horologically knowledgable point me towards any other watch brands, or particular models, that have lug widths of 24mm or more? Some Breitling fit your criteria. Check the official webpages for dimensions. Breitling Superocean Heritage II 46mm is 24mm lug width - you'd have to put a diver on leather though which is anathema to some. Last edited by mycroft; 4th February 2019 at 11:23. Bell & Ross, Paris, and Panerai do 26mm. My Bell & Ross BR03-02 Nightlum has 24mm lugs, but looks bigger due to the strap being the same width as the lugs. Only second hand now as a limited first watch from Ocean 7 when they started out. Oops. Yes. I blame the auto correct. Gruppo Gamma and Schofield both have 24mm. 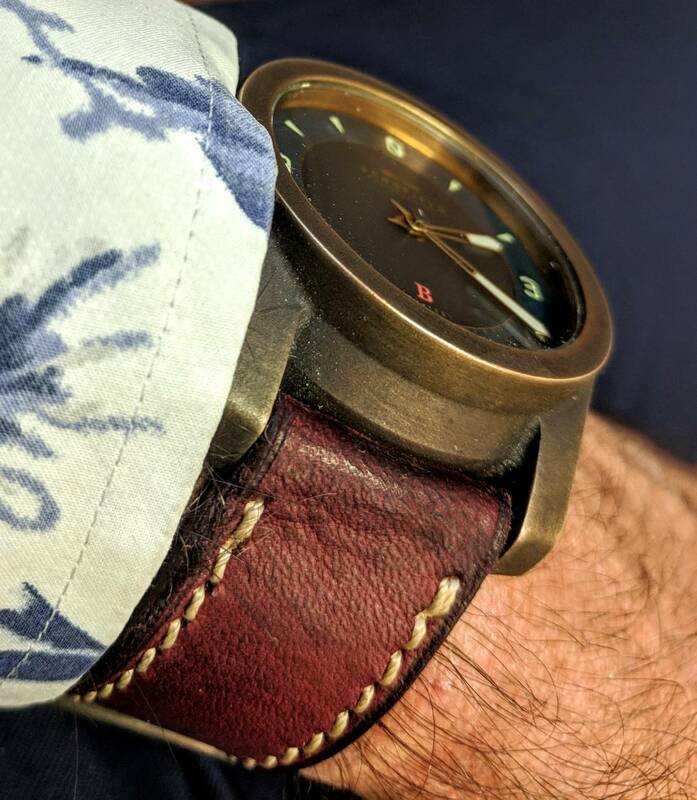 Here's my GG on a rich burgundy Simona 24mm strap. Schofield BB2 on the same strap. Thank you for all the suggestions so far. I have been googling them as they are made. 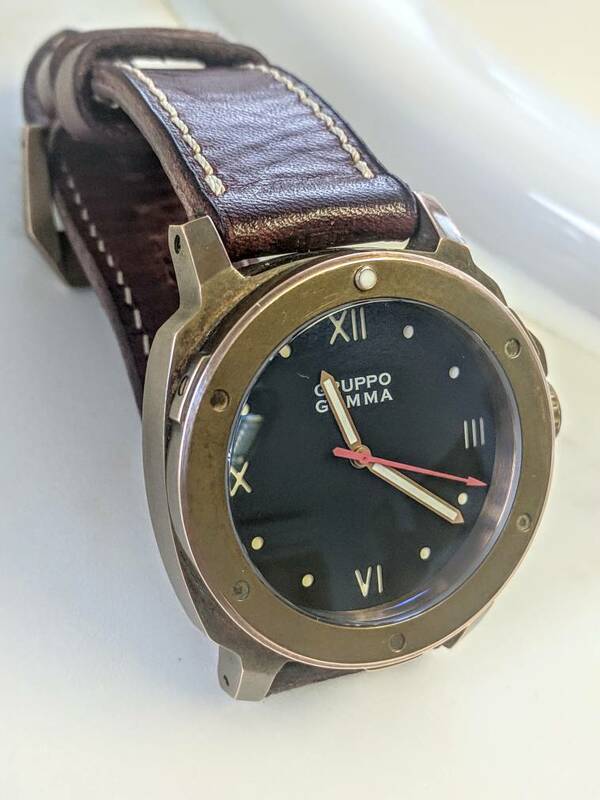 The GG above on a Simona strap is of particular interest, as I am currently awaiting delivery of some Distefano straps myself. It appears that up to 24mm lugs are not all that uncommon. But once above this options decrease significantly. 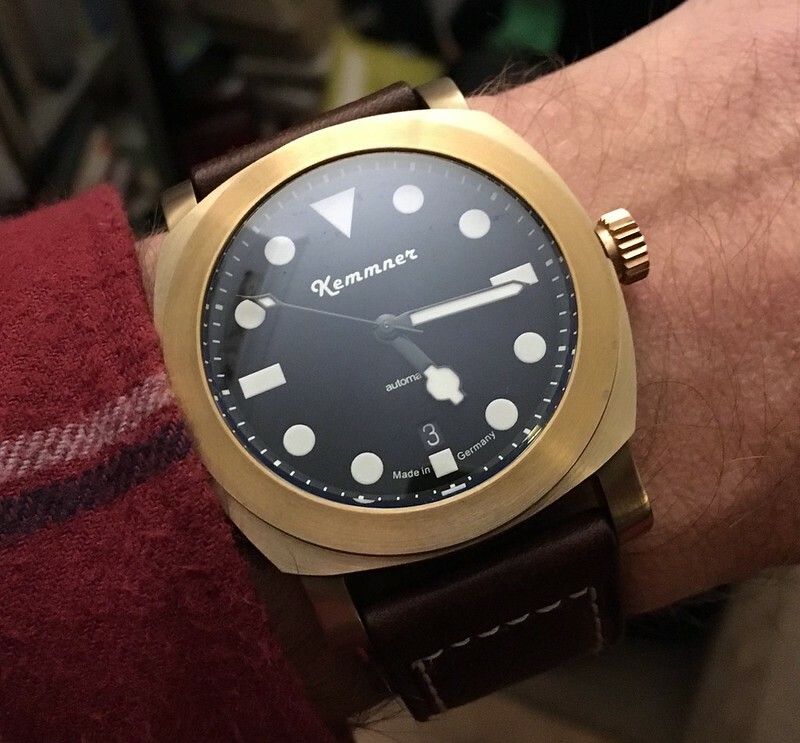 I like the look of the 47mm Radiomar with 27mm strap. The Seven Fridays with 28mm strap is quite a thing. Although a little 'out there' for my fairly conservative taste. I wonder, does anybody know of a watch with wider lugs than this? Whose is the biggest as it were? Simona makes a great strap. 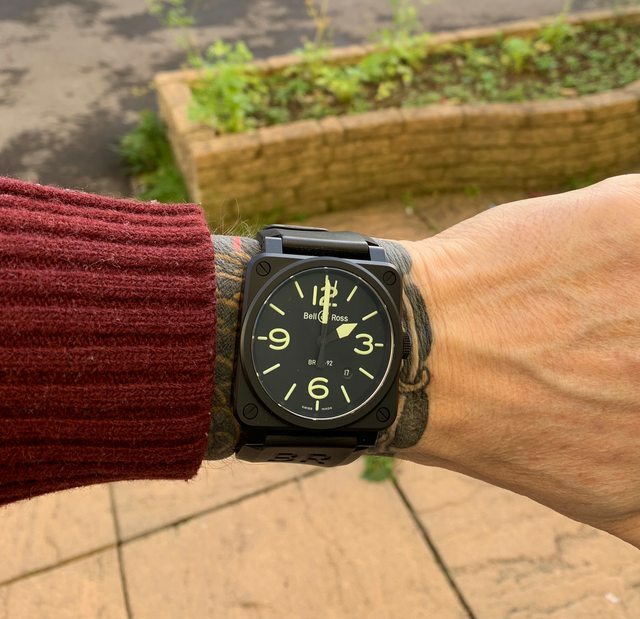 Greg Stevens is my other favourite-I have tried many over the years for my Panerai and even made some myself (and sold a few) when I had more time on my hands! There are tons of brands and models with 24 mm lug width.